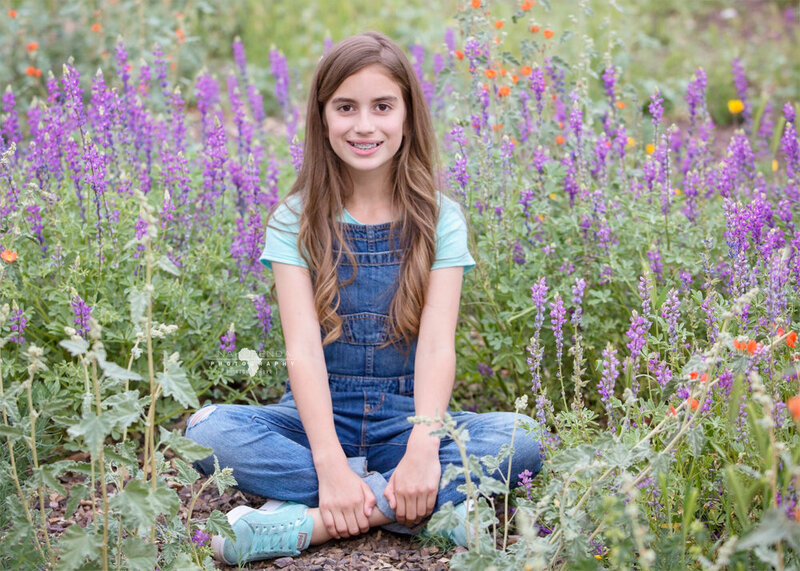 Every year Lucy’s mom comes up with the sweetest themes for her birthday session. Last year was one of my favorites. Her mom had an old bike refinished, created a blue, metallic sparkle skirt and shiny converse. (check it out here https://www.facebook.com/NakupendaPhotos/photos/a.278258085606979/1286347238131387/?type=3&theater) This year we kicked ideas back and forth for MONTHS leading up to her birthday session. An Artist? A soccer session? 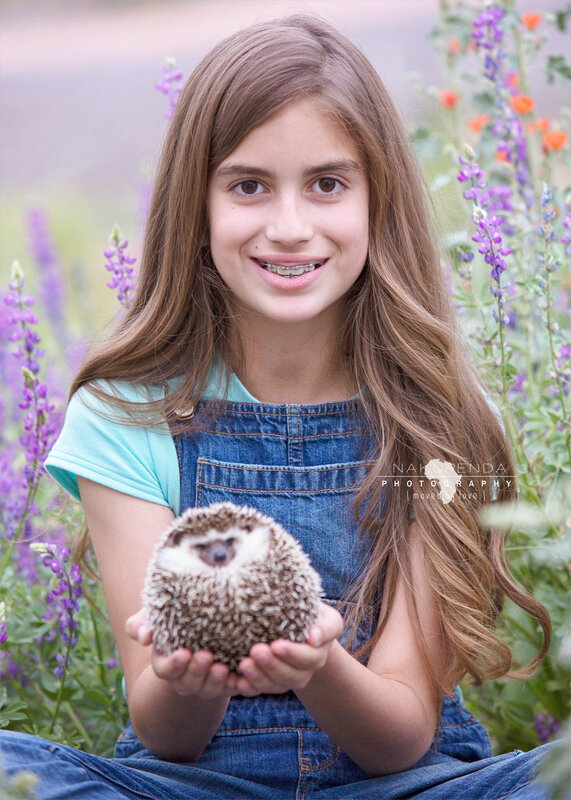 And then inspiration hit me (after we postponed her session and I realized her obsession…..) HEDGEHOGS! We were 48 hours from her scheduled session when the idea came to me. 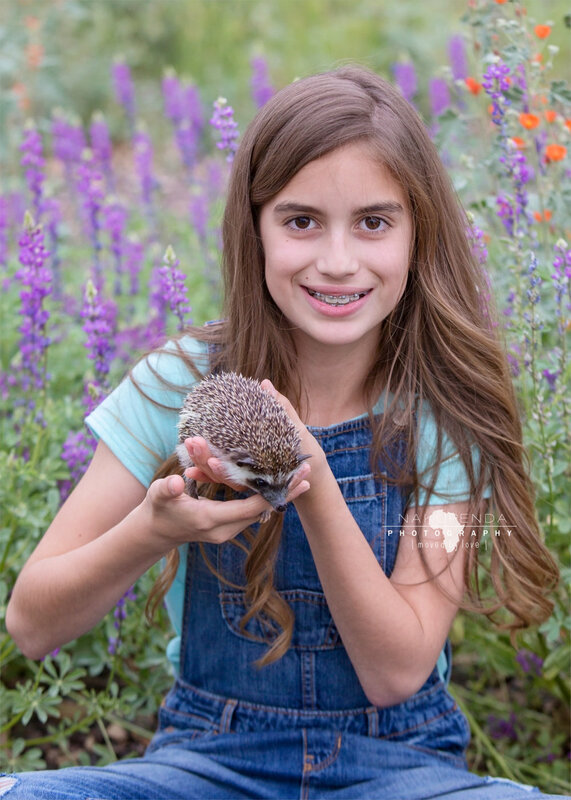 I messaged my sweet friend I met a few years back and asked her if there was anyway we could borrow her hedgehog to surprise our birthday girl. Her response? Lucy was overjoyed to finally meet not 1, but 2 hedgehogs. She was braver than I would have been as the hedgehog curled up, and poked her with the quills. I loved that I could make this session happen for my animal loving friend. I am so blessed to photograph awesome people. I first met the hedgehog owner 5 years ago when I photographed her with her horse. We have kept in touch, but rarely have we seen each other. The fact that she showed up for me YEARS LATER at the drop of a hat to make another amazing child’s session extra special fills me with joy.